Channel 4 have created a series of documentaries that follow schools across the UK with their staff, pupils and parents over an entire academic year. Previous series include Educating Essex, Educating Cardiff and Yorkshire. The latest series has returned focusing on a secondary school in Salford – Harrop Fold School. Similar to previous series this series has been very popular and widely watched across the country. If you are in the UK and haven’t watched this series you can do so here. The series focuses on different pupils and their unique individual stories from relationships, puberty and behaviour. Every episode features key staff members (my personal favourite is Mr Chambers responsible for behaviour – with this his blunt yet friendly approach to tackling challenging behaviour) and of course the Headteacher Mr Drew Povey is consistent throughout each episode. Drew Povey isn’t the only Povey at Harrop Fold as his two brothers Ross and Ben also work at the school too! 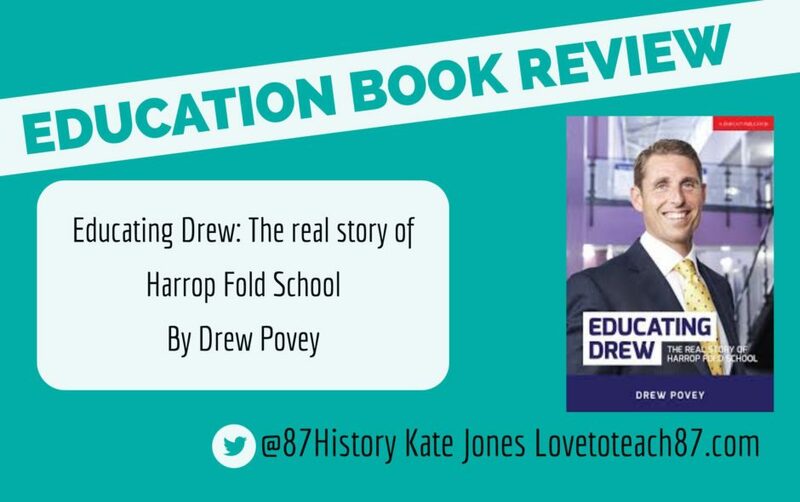 In addition to the television series Educating Greater Manchester, Headteacher Drew Povey is now the author of Educating Drew: The real story of Harrop Fold School. Fans of the show and of Drew Povey will certainly want to find out more about his background and the story of Harrop Fold School. The book begins with a very honest and open insight regarding the problems the school previously faced. Drew Povey shares some shocking examples and scenarios that he encountered as he arrived at Harrop Fold. There has been much debate about whether there is a current ‘behaviour crisis’ amongst schools in the UK – well previously at Harrop Fold behaviour had reached crisis point as behaviour was dangerous and out of control. Drew isn’t exaggerating for the purpose of this book as I found an article published by the BBC in 2005 listing several incidents of behaviour and the distress felt by members of the Harrop Fold Parental Action group that was set up to express their concerns. During my teaching career, both in the UK and internationally, I have never personally experienced or witnessed the level of bad behaviour described in the book. As Drew states he certainly doesn’t ‘sugar coat’ the truth. But the truth is necessary to fully understand and appreciate the progress that school has made over recent years. In addition to the background, history and progress of Harrop Fold is the personal story of Drew Povey and his two brothers. Drew as a naughty child would seem an unlikely candidate for a future Headteacher. This book offers an insight into the life of a Headteacher and how he reached his position. 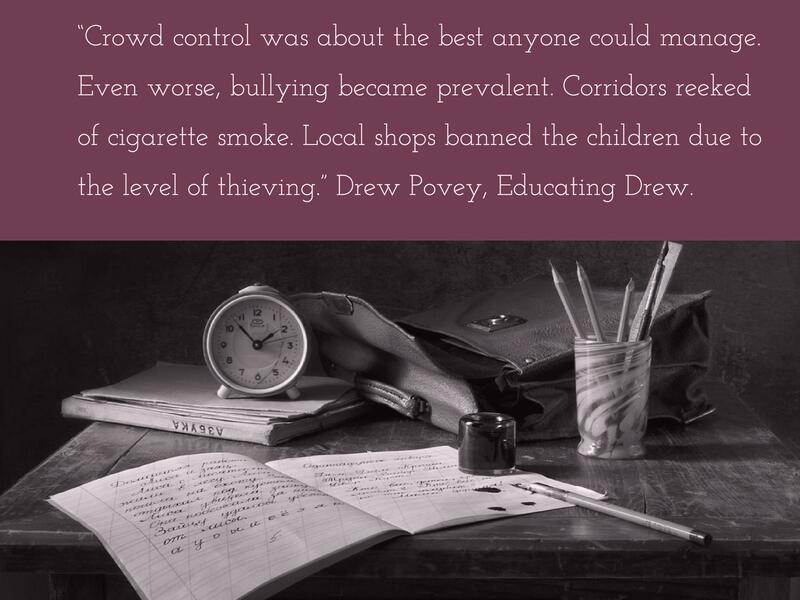 I have no doubt that sharing his past, his flaws, struggles and achievements with the world through this book will only make Drew Povey even more likeable and relatable. I remember an assembly my previous Headteacher delivered where she shared a small glimpse of her life outside of school – it was many years ago but I remember it so well. My Headteacher shared some old photos of her when her child was born, she shared a photo with her husband, friends and even doing the gardening! There was nothing too personal or revealing but just enough to reveal her human side to the pupils and staff – she is a Headteacher but she is also a mother, daughter, sister, wife, friend and more. 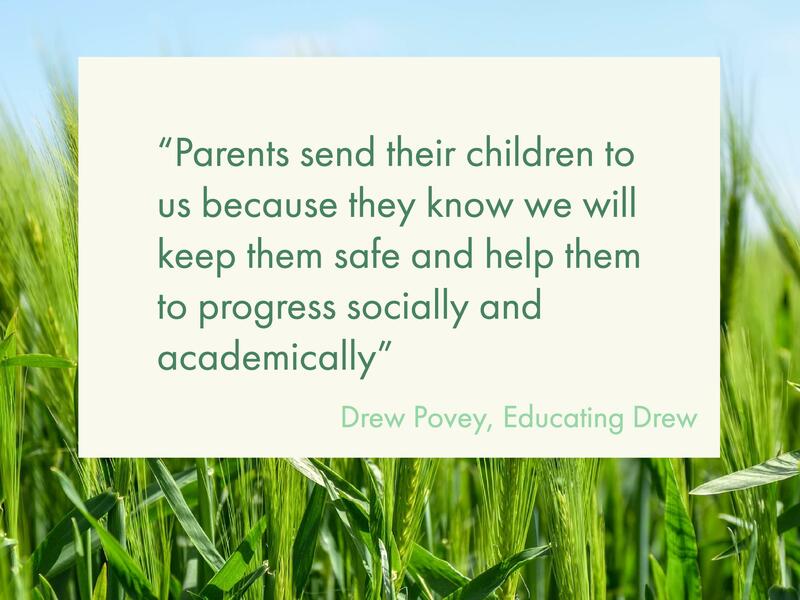 This is what Drew Povey does so well – he shares just enough information about his education, hobbies and family to make the reader feel like they know him and his character. At times I was very surprised by some of the statements the author makes in his book. He is well aware that his approach and style may not please everyone but he is confident that he is doing the right thing for his school and the pupils at Harrop Fold. The book also discusses the relationship and history the school has had with the inspection bureau that is OFSTED. The school has progressed from ‘special measures’ to ‘good’ and all of the OFSTED reports from Harrop Fold School from 2003 – 2013 can be found here. 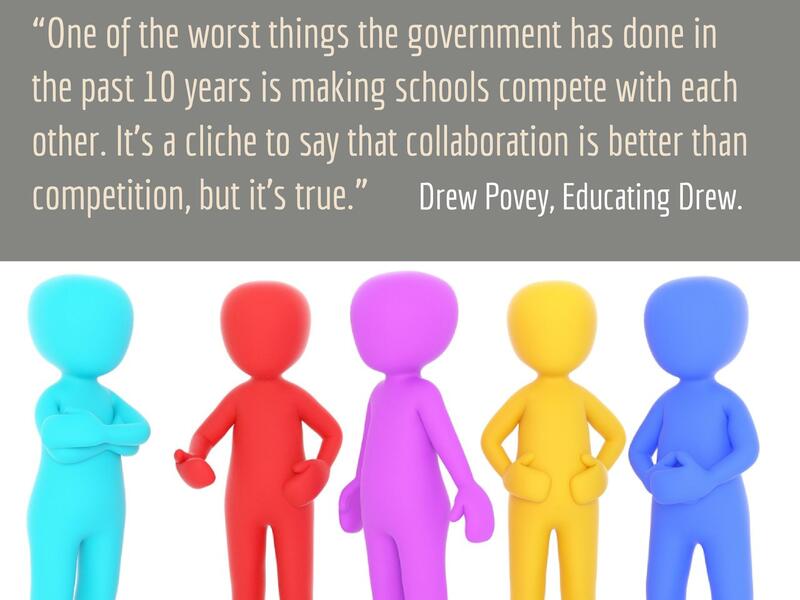 Drew recognises that OFSTED matters but it doesn’t keep him awake at night and is not his main priority. Rightly so, the staff at Harrop Fold – known as Team Harrop – focus on improving education and conditions for their students rather than chasing OFSTED labels. The book does focus largely on behaviour as the school recognises that behaviour management is now their key strength, as behaviour has greatly improved. 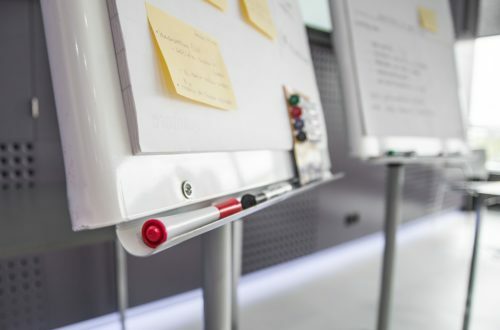 There is little discussion of teaching and learning as the school recognises an area for improvement is to focus on developing the new curriculum. As a Middle Leader, I have never directly had to deal with school funding and budgeting (other than a department budget) but I have been aware of the cuts facing education in recent years in the UK. Perhaps the most shocking aspect of this book and the television series is finding out how much debt Harrop Fold has and how that has happened. The debt Harrop Fold has been fighting is staggering, at one point the largest debt any school had in the UK. 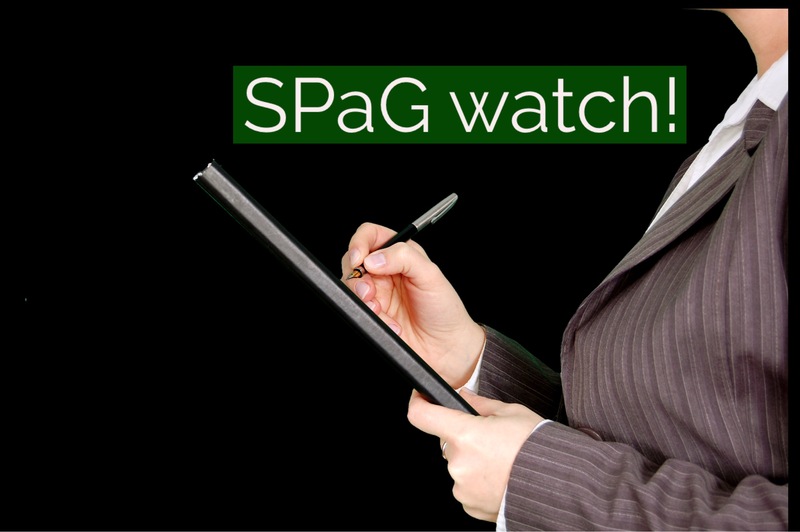 There is now still a deficit of 1.2 million pounds that needs to be cleared. This debt has led to large class sizes, reduction in teaching staff, lack of resources and equipment. This really was heartbreaking to read because the people suffering most from this are of course the pupils at Harrop Fold. 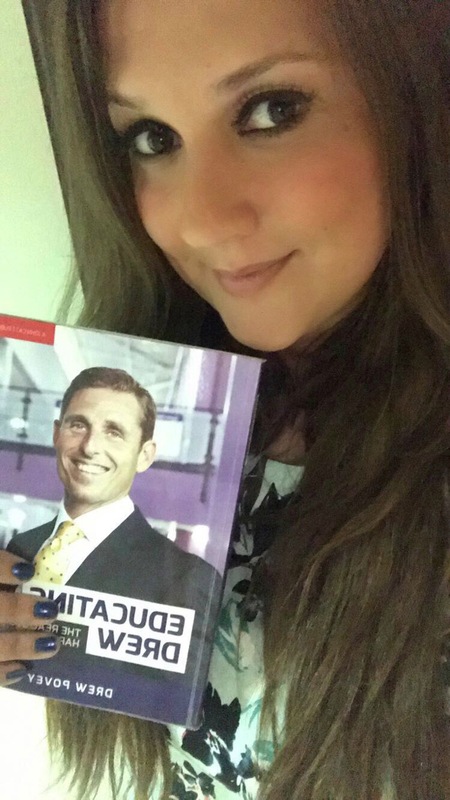 Drew Povey is a man on a mission to clear this debt for his school – whether that be through winning the lottery or letting cameras into his school and writing a book to help diminish the debt! 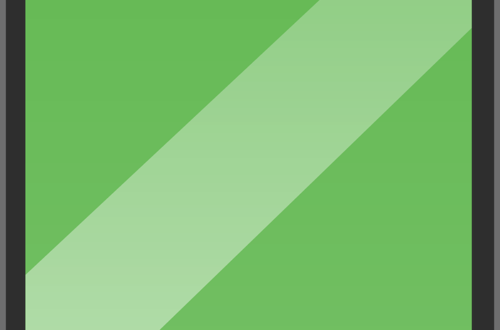 I really did enjoy this book – it is a book that is hard to put down once you begin reading! However, there were some points or statements I would challenge which of course the author expects as he describes his leadership style as ‘quirky’ but he stands by his convictions. Drew Povey makes a statement that teachers with smaller class sizes add some value but not as much as Harrop Fold teachers. I believe each school faces its own challenges, for example, according to the latest OFSTED report Harrop Fold has below the national average of EAL pupils. The school I was based at for my PGCE placement had smaller class sizes than 36 per class (as suggested in the book) but did have a very large amount of EAL pupils that struggled to access the curriculum. The 2013 OFSTED report did state that Pupil Premium at Harrop Fold was well above the national average so there is no doubt that the teachers at that school are adding value and making a huge impact on the lives of young people. Drew also states that when he is appointing a new teacher he prioritises ‘Character. Competence. Chemistry’ – whilst all important qualities I would argue that chemistry with pupils builds as relationships develop. In my initial lesson observation during interview, I did make an effort to use pupils names and interact with them as much as I could but having very little knowledge of the pupils and their background meant that the chemistry wasn’t what it would be had I been teaching the class for longer. Perhaps, I have misunderstood the chemistry or the author is looking for an instant spark and connection but I felt that point, amongst a few others, could have been further developed and explained. The main area for controversy – which I believe Drew Povey argues very well – is the decision to not have exclusions at Harrop Fold School. This has lead to recent debate and discussion online about exclusions, including this blog posted today by Andrew Old discussing what happens when schools don’t exclude pupils. 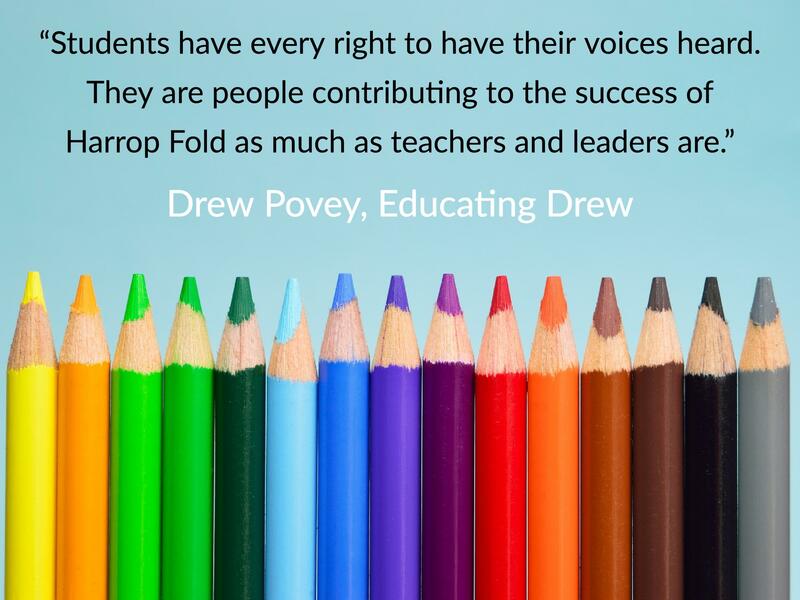 The key point Drew continually focuses on is that all his ideas and beliefs are based around Harrop Fold School and the context of their community, pupils, staff and so on. However, despite my minor grievances, I did absolutely love this book! This book is fantastic for anyone in the educational community – teachers, leaders, admin staff absolutely anyone connected to education. I also think this book would be of great interest to parents to gain an insight and perspective from a Headteacher and understand the challenges a Senior Leadership Team and teachers can face. Anyone who has watched the show will also enjoy this book as Drew Povey has proven to be popular with pupils, parents, audience viewers, teachers and even celebrities like Piers Morgan! I do also like the consistency between the television series and the book. 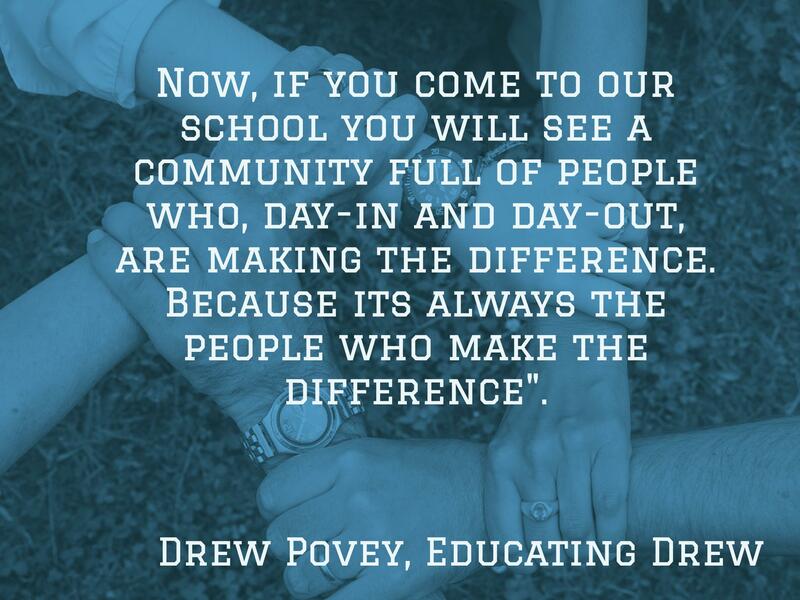 For example, in the book Drew discusses his regular tours of the school – aimed to improve effort and behaviour with pupils but also to support staff and in the television episodes, Drew Povey can regularly be seen patrolling the corridors and entering classrooms on his tours. Drew clearly walks his talk! I often recommend reading books that I have enjoyed or found informative and useful. In this circumstance, I strongly encourage and urge others to buy this book as all sale proceeds go towards reducing the staggering debt that Harrop Fold still has hanging over the school like a black cloud. Buy this book to be entertained, inspired and feel part of Team Harrop. You can purchase Educating Drew here. Previous post The Secret Teacher! Who is it? !